I’m a limnologist. I study and help manage water in our environment; its flow, distribution, storage and properties. I look at how water changes the landscape, carving out huge valleys, forming deltas at river mouths, and polishing pebbles smooth on a lakeshore. I investigate the effects of its contamination by toxins, organic pollutants and disrespect. In its solid form, water has scraped out huge swaths of land and formed some of our largest lakes, dropping moraine in places and melt water from ice blocks elsewhere. In its gaseous form, water controls climate and weather. For something so “simple”, water is pretty complex. Its unique properties make water likely the most important element of our existence and in ways most of us can’t possibly imagine. Without water no life form could exist. Water is a universal solvent. It transports all kinds of things from the sediment of the Nile River to the oxygenated blood cells in your arteries. Water stores energy and heat. It responds to and changes the properties of all manner of things. While Earth is blessed with copious amounts of water, 97 percent is salty and 2 percent is locked up in snow and ice. That leaves 1 percent for us to drink, bathe, and grow our crops. Less, really, because some of that water is contaminated. Since dinosaurs quenched their thirst in the soupy marshes of the Triassic Period millions of years ago to the rain falling on your house today, the amount of moisture on Earth hasn’t changed. However, scientists predict that by 2015 1.8 billion people will live where usable water is scarce. One of hour greatest crimes is that we don’t treat water respectfully and with gratitude. It’s free, after all. It’s everywhere, isn’t it? “Water is the ultimate commons”, says Kingsolver. That lack of respect and gratitude engenders subtle abuse. And that abuse spills into self-abuse. All life is made from 50 to 95 percent water with humans averaging 70 percent. Some scientists now tell us that—although an adult human contains generally two-thirds water—on a molecular level, our water content is closer to 99%. 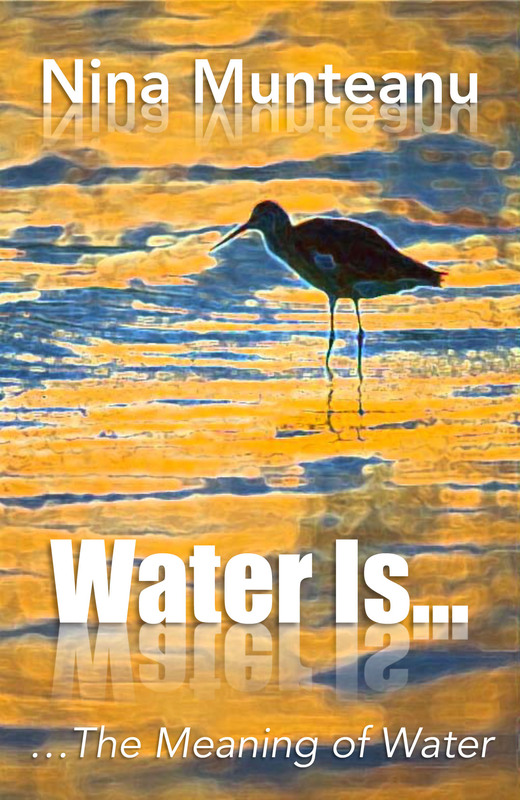 This entry was posted in books, ecology, limnology, philosophy and tagged conservation, drinking water, ecology, environment, gratitude, limnologist, limnology, Nina Munteanu, the flow of water, the meaning of water, Water Is, what is water?. Bookmark the permalink. My name is Susan and I am the content manager of Clapway.com, a US based online publication. I came across your blog and really enjoy the content you have on your site. We would like to discuss a potential collaboration with you. Would you be able to talk to us on Thursday via Skype?